As you all know, I love books about the Disney Parks — but I’m especially excited about fiction set in or having to do with the Disney Parks. 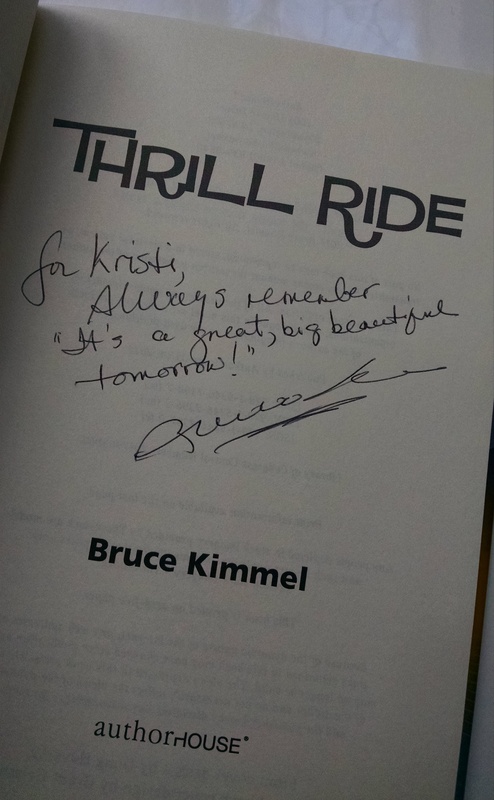 I just found a new one called Thrill Ride by Bruce Kimmel. “1957. What if Walt Disney wanted a time-travel ride for his recently opened Disneyland, a peek into a city of the future and what it might hold – a thrilling ride. What if he had an Imagineer he felt could come up with what that future might hold and how the ride might work? What if that Imagineer, not wanting to merely posit what the future might hold, figures out a way to travel to the future to see exactly what it might hold? I pre-ordered this and I got a signed surprise! HOW COOL IS THIS INSCRIPTION? Here’s me with Richard Sherman at a Sherman Brothers-themed Kritzerland Musical Revue at the Triad in NYC, November 15, 2014. I just about cried when he signed my favorite childhood album! I’ll be writing a review of this as soon as I get the chance to read it (which I hope is soon; I have stacks and piles and more stacks and piles). If you’re interested in picking this up, you can order it anywhere you get books, however, it’s available at the author’s website here, and on Amazon here. 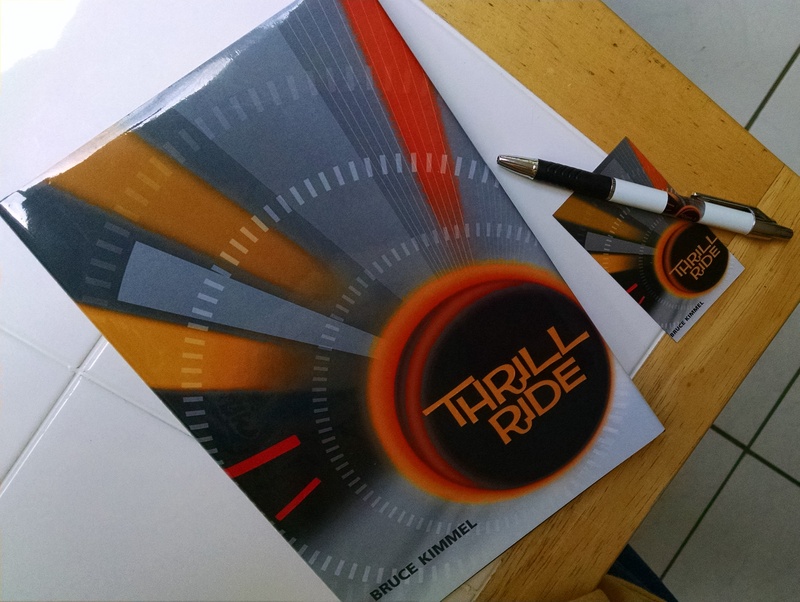 Posted on April 11, 2017, in Disney World Disney Parks and tagged Bruce Kimmel, Disney World fiction stories, It's a Small World record album, Kritzerland, Richard Sherman, Walt Disney thrill rides. Bookmark the permalink. Leave a comment.